The Snapdragon 710 is a rather curious new beast. It is the ambassador, of sorts, to Qualcomm's fresh lineup of 700 series chips, unveiled back in February. Currently, we have only heard news of one other 7 series chip - the Snapdragon 730. It will likely be based on a Samsung 8nm LPP manufacturing process, use different cores and even feature a dedicated NPU 120 chip for on-device machine learning tasks. It looks like a different beast altogether and is unlikely to show up before the end of 2018. For now, we get the Snapdragon 710 - a 10nm chipset that Qualcomm is also taunting for its AR and AI capabilities. 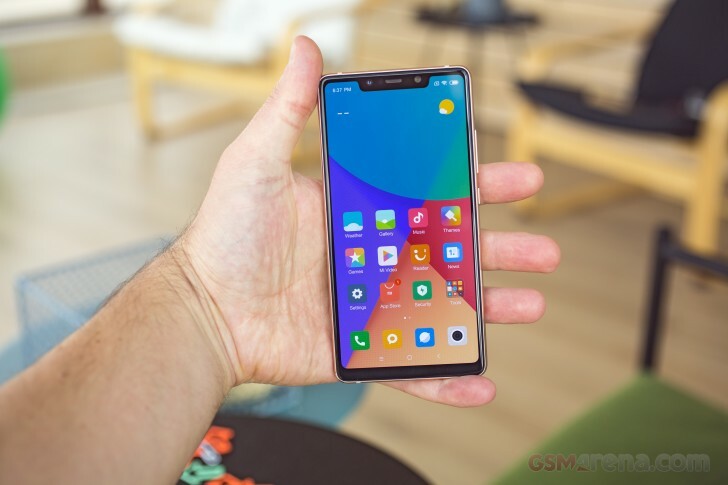 While we can't really test those out in practice, at the current stage the Xiaomi Mi 8 SE did, only recently, land in the office for review. Which means we can see just what makes the Snapdragon 710 tick and how good it is at traditional CPU and GPU tasks. While Xiaomi was first off the line with the new 7th series, the Chinese OEM definitely isn't the only one showing major interest in the chip family. There is the vivo NEX A - the already announced little brother to the popular NEX S. A Nokia might already be on its way too. And perhaps even a Google Pixel device. This all makes us even more interested in the Snapdragon 710. First, some specs are in order. The Snapdragon 710 Mobile Platform, as Qualcomm calls it, sits above the Snapdragon 660 and below the Snapdragon 835 and 845, aiming to trickle flagship functionality down to midrangers. Some of those advanced features, in question, include a Spectra 250 image signal processor that can perform multi-frame noise reduction in images and has some depth-sensing AI smarts, baked right in. There is also the new X15 LTE modem, which delivers 4X4 MIMO and nearly gigabit (800 Mbs actually) downlink speeds. Also, it comes with QuickCharge 4+ support, which should make for really snappy top-offs once those chargers really start showing up in stores. Even at first glance, we can already see what Qualcomm means, when it talks of advanced technology trickling down to midrange territory since the Snapdragon 710 is superior to the current top-dog Snapdragon 660 in connectivity chops and extra features. But, what about RAW CPU and graphics power? Also, power efficiency? The Snapdragon 710 is a 10nm chip, just like the 835 and 845 flagships. However, it uses new Kryo 360 cores, separated into two clusters and designated as Gold and Silver, according to their overall performance. These are not your typical symmetrical clusters, but rather a two, plus six arrangement. 2 + 6 Octa-core (2.2 GHz Kryo 360 Gold – Cortex-A75 derivative + 1.7 GHz Kryo 360 Silver – Cortex-A55 derivative). This, combined with the improved tech in the Kryo cores themselves, has facilitated Qualcomm's claims of 30% power efficiency on the Snapdragon 710, compared to the Snapdragon 660. And since, we've already put this off way too long, here is how GeekBench ranks the two chips, under a pure CPU-centric load. Now, keep in mind, we currently only have a single data point for the Snapdragon 710 to go on. Just to get the most accurate and representative results possible, we ran each benchmark multiple times, including actively cooled runs. We are happy to say, that in our tests the Mi 8 SE didn't show any signs of thermal throttle, not even a little bit. So kudos to Xiaomi on the cooling front. CPU-wise, it is clear that the new Kryo 360 cores can't keep up with the beefier and higher-clocked, even if older Kryo 280 units in the Snapdragon 830. However, the Kryo 260 cores inside the Snapdragon 660 fall short, despite their overall higher clock rates. It is particularly interesting to see the Snapdragon 710 come out ahead, ever so slightly, in multi-threaded workloads, where one could naturally assume that having only two higher-tier cores would be a handicap. Turns out it's not, which leaves us hopeful for the efficiency potential of the chip. More compound benchmarks, like AnTuTu, paint a pretty-much identical picture. Thinking about it logically, it does make plenty of sense for Qualcomm to try and fill some of the performance segments left unoccupied by the recent rapid ramp-up in ARM processing power. The massive gap between the Snapdragon 845 and the 835, on the very same graphs, is a clear indication that there are plenty of performance niches still left to fill. If the upgrades keep rolling in at this pace, we can only expect more Qualcomm chip families to pop-up in the future. BaseMark OS scores are really no different from the AnTuTu ones. For a second, the BaseMark OS 2.0 suite had us thinking there might be some minor thermal issue with the Mi 8 SE, but running the older BaseMark II quickly cleared our suspicions, attributing these fluctuations to the margin of error. Moving on to graphics, Qualcomm managed to position the graphical prowess of the Adreno 616 inside the Snapdragon 710 quite neatly in-between the Adreno 512 (Snapdragon 660) and the Adreno 540 (Snapdragon 835). The Snapdragon 835 might be getting long in the tooth, but it still packs a punch. However, a newer GPU, like the Adreno 616, means newer and more up-to-date API and technology support. Perhaps, a good investment in future-proofing. Of course, to level the playing field, we are only looking at offscreen rendering tests here. Otherwise, the variations in native display resolution will muddy-up the results. For a more compound graphics fidelity picture, there is Basemark X, which only proves our observations thus far. You can expect more numbers and broader comparison tests for the Xiaomi Mi 8 SE and the Snapdragon 710, once the full review comes out. For now, this was an interesting first look at the new 700 Series Qualcomm chips, their place in the current ecosystem and potential future. We'll also do our best to reach some power efficiency conclusions about the Snapdragon 710 and its X15 LTE radio in the same Mi 8 review. Be sure to check back for more, especially once other Snapdragon 710 devices start hitting the scene. One thing that u won't get on kirin 970. 10bit hdr display. Just play pubg then compare the grass the sky and the other. Premium display in midrange phone. Then it's up to you.